Madcap action, martial arts and monkey king. This is how Magic Design Studios describes their first title Unruly Heroes. If you finished saving whatever realm you had to save, it’s time for another world that has been bested by evil forces. This time, only four unruly and incompatible heroes can save the world from the horrors that now roam the lands. For centuries the Sacred Parchment has kept balance in the world, the line between good and bad clearly visible as wars between each raged on. Evil has never prevailed, until now. The forces from hell found a way to the Sacred Parchment and destroyed it, leaving burning pieces scattered afloat the world. Fair became foul and now wretched creatures roam the lands, the Goddess of Mercy explains. Only four unruly heroes can restore order to Heaven and Earth, as they face the wretched creatures on their journey to the West. Sanzang the wise, Wukong the fearless monkey, Kihong the greedy pig and Sandmonk the sensitive brute will do whatever it takes to gather the pieces of the scroll and restore balance. The Goddess of Mercy chuckles as she thinks of these four incompatible heroes, at least they’ll try. Perhaps they’ll succeed. Visually, Unruly Heroes is an artistic masterpiece of vibrant colours in a fantasy universe. Being a 2D action platformer game, the background fades with all the action but once you stop and take a good look at the incredible details, you’ll notice that the backgrounds are very distinct in each level. It’s simply stunning, even if it is slightly cartoonish. As for the animations, each type of animation, whether from friend or foe, are all incredibly fluid and distinctive enough to see well in the vibrant setting. The bar has been raised high with such incredible visuals, but the sound design feels lacking in some departments. The ambiance sound is comprised of calm, oriental inspired music but the sound fades into the background quite often due to combat sounds. What is most appalling in the sound design is the awful voice acting. There isn’t much of it, but the parts that are being narrated lack heartfelt emotions and the parts that should leave us chuckling simply made us shake our head because of the forcefulness. None of the it falls into place naturally and it clashes with the representation of the game. Advertised as an action adventure game, Unruly Heroes feels more like a 2D platformer with a perfect balance of combat, both fast-paced and strategic, and puzzles. It features full controller support and we’re thankful for that as the controls on the keyboard are heinous despite being able to remap them. 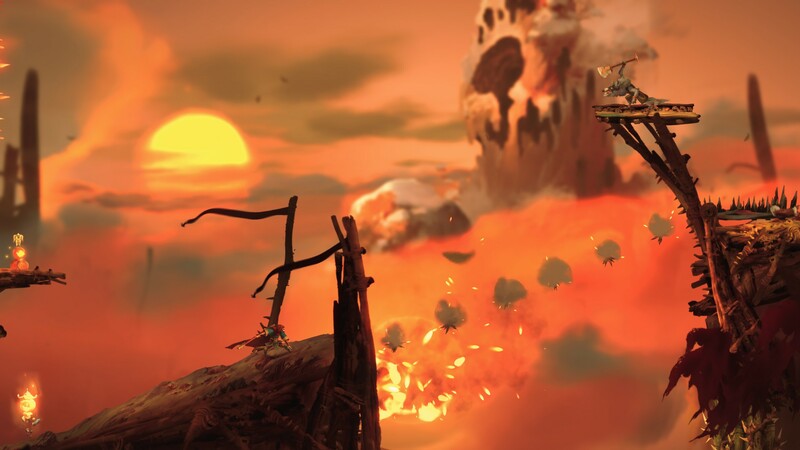 Furthermore, the game offers an adventure mode which can be played with up to four people in a local co-op setting, as well as a local and online player-versus-player mode. There weren’t enough people online for us to find a match through the online PvP mode, which is a shame. Regardless, the adventure mode proved to be challenging enough and ensures several hours of gameplay and quite some replayability. There are four heroes, each with their own abilities and playstyle. There are two who have overlapping “skills”, for example Wukong and Sandmonk can both double-jump whilst Sanzang and Kihong can somewhat float or slow fall. Stone statues are scattered across the lands, each placed carefully to help the player out with certain puzzles and each statue is used with one specific character as it calls upon their special abilities; Kihong can bloat and take flight like a balloon, Sanzang can shoot an objective that will activate contraptions and Wukong’s staff will be enlarged and placed over perilous areas. Despite being forced to call upon certain characters at these locations, the game allows you to play whichever character you feel most comfortable with throughout most of the levels. As already mentioned before, the game switches between combat, platforming and puzzles and it does that seamlessly. 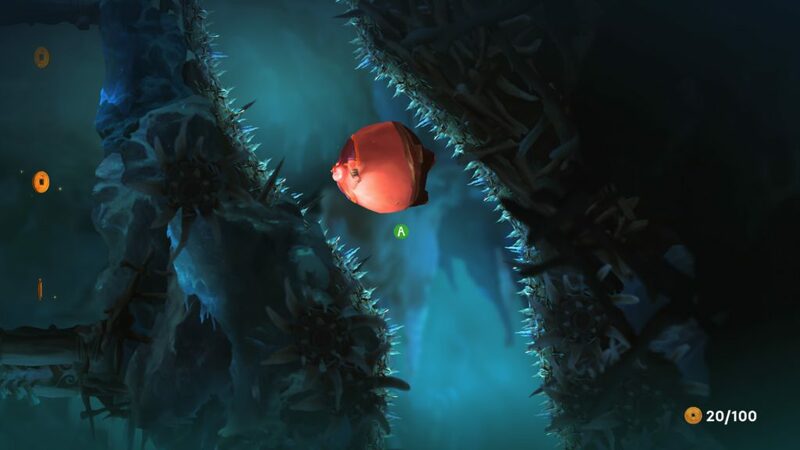 One minute you will be faced with a fast-paced platforming section similar to many boulder-like levels that leave our hearts racing, and the next minute you’ll be staring at the screen in order to work out how to complete the puzzle before facing a boss fight that can leave you exhausted from careful executions of switching between characters and their imminent deaths. Luckily these deaths are never in vain, as a soul bubble with float in your vicinity which you’ll need to pop. With so many genres blending in together, there are many interesting mechanics, such as invisible enemies or platforms that can only be turned visible for a short duration by hitting a plant. The game also offers plenty of replayability by the means of coins and collectibles as some of these are hidden in secret caverns, others such as heroes’ skins can be unlocked by buying them. Whilst the voice acting is a dark mark on the representation, Unruly Heroes is an excellent and pleasant 2D action puzzle-platformer with a sublime balance between action and puzzles. The visuals are gorgeous, and the story is intriguing enough even if the comedy falls flat. 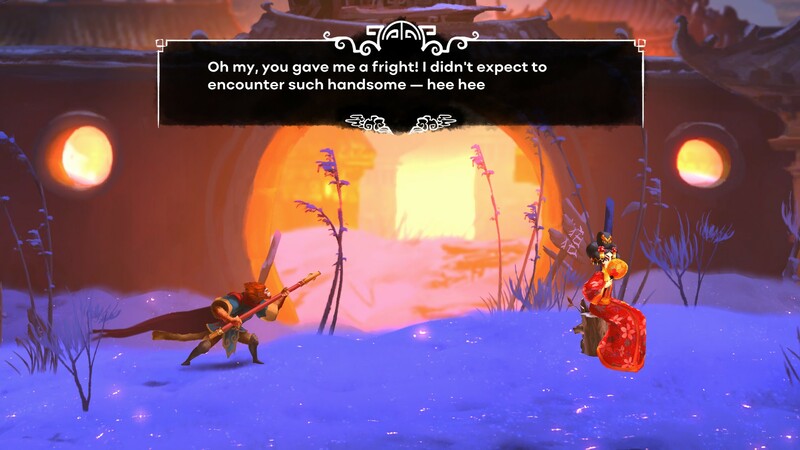 It offers entertaining mechanics similar to the greatest titles in action platforming such as Crash Bandicoot and lesser known character swapping mechanics also found in Earthlock: Festival of Magic. 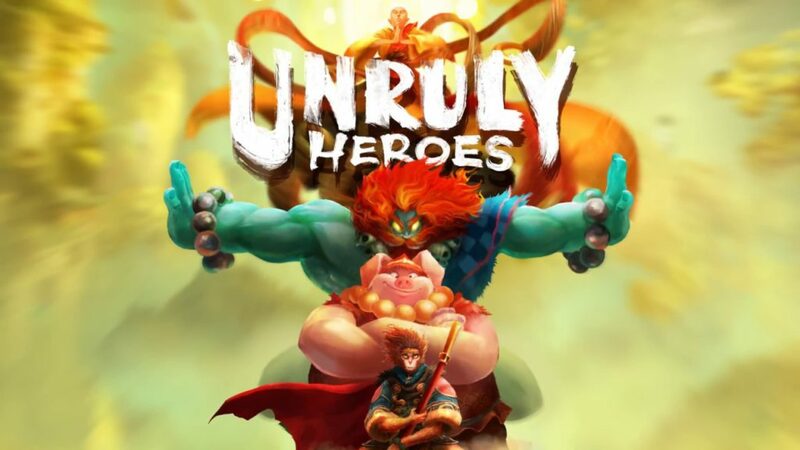 We can honestly recommend Unruly Heroes and hope that the game will receive the recognition it certainly deserves. Hi! I'm Jess and I’m a writer, dreamer and gamer at heart since the early ages. I primarily game on PC but occasionally also on PS4 and Xbox One. I have a tiny obsession for World of Warcraft and caterpillars but you may also claim I have a devoted passion for the gaming industry in general. If you want to hit me up, find me on twitter!